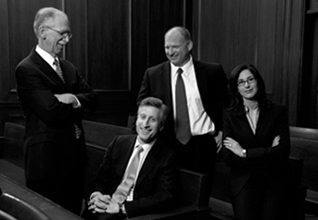 Holwell Shuster & Goldberg is a litigation boutique specializing in complex commercial cases, with a particular focus on sophisticated financial, securities, antitrust, intellectual property, and bankruptcy-related disputes. HSG strives to provide the highest level of service by furnishing unparalleled judgment and offering fee arrangements that ensure complete alignment of interests with its clients. HSG was founded in 2012 by The Hon. Richard J. Holwell, who served as a highly respected federal judge in the Southern District of New York, and his former partners and colleagues from White & Case: Michael S. Shuster (who was global head of commercial litigation at White & Case), Daniel P. Goldberg, and Dorit Ungar Black. HSG is now over 60 lawyers strong, with the experience, expertise, and depth to handle the most complex commercial disputes in courts, arbitral tribunals, and administrative agencies across the country. We have also been engaged to handle sensitive internal investigations requiring the judgment and discretion of seasoned lawyers coupled with the insights of a former federal judge. Our ranks include lawyers who have held prestigious clerkships at all levels of the federal judiciary, including the U.S. Supreme Court, and served as editors of the nation’s top law journals. We are an ideal partner for any client with high-stakes matters pending in any of the nation’s courts or in any arbitral or regulatory forum, as well as for law firms unable to take on particular matters due to professional conflicts. HSG actively promotes a culture that values its people and their diversity. We believe the most successful lawyers are those who work in an environment that focuses on quality, professionalism, and individual respect, while at the same time fosters and encourages creative thinking to solve our clients’ problems. Similarly, we have the highest respect for the legal profession as a community and the responsibilities that come with membership in it, including a substantial dedication to pro bono practice. To ensure that the firm’s interests are fully aligned with those of its clients, HSG seeks wherever possible to implement fee arrangements based on agreed measures of value rather than on the billable hour.